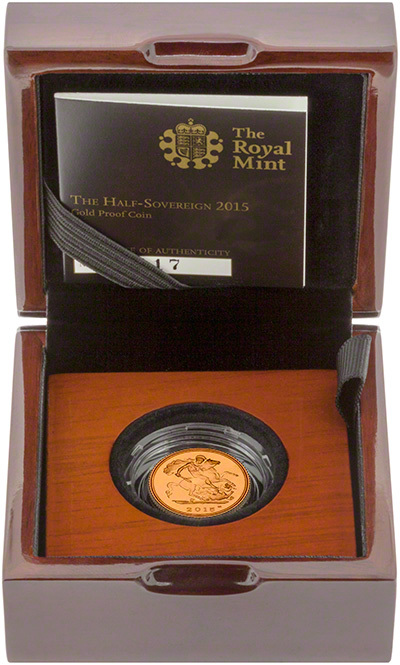 We receive our first delivery of 2015 Proof Half Sovereigns on 27th November, 2014. When compared to the Royal Mint price of £190.00 you will make a saving of £11.00 per item when ordering from us. 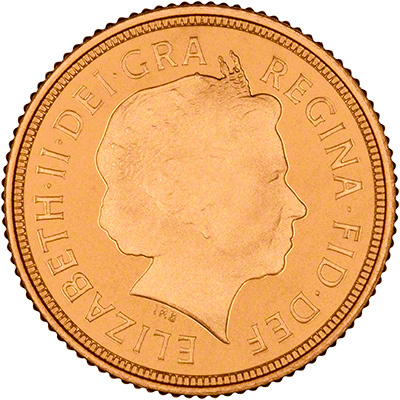 We are usually able to offer proof half sovereigns at a discount compared with The Royal Mint (and many of our competitors). In recent years the trade discount price has reduced. If The Royal Mint continue to drop their prices to amounts equal to, or lower than the trade prices, we may need to stop stocking Royal Mint products, as there will be no need to and customers may as well go directly to The Mint. If this happens, The Royal Mint will no longer have any competition and with a complete monopoly over the market, will be able to increase their prices to over-inflated amounts once more, with no option for customers to purchase from elsewhere. For the first time in over 100 years, there will be two designs for the 2015 sovereign. The early coins will feature the current portrait, by Ian Rank-Broadley, on the obverse, whilst coins produced in 2015 will feature a brand new portrait of the Queen. 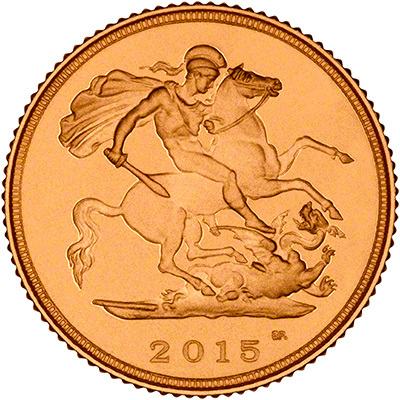 We will also be getting the uncirculated and proof 2015 sovereigns and the 2015 proof quarter sovereigns into stock. Don't get suckered into this deal by the so-called London Mint Office.